View Poll Results: Which Dragon do you prefer? 5 Days Ago (7:49 AM). In a Dance of Dragons it was a free for all. Every psuedo legendary dragon across the 7 regions fought claw to claw for their territory. Now that the dust has settled only two dragons remain, Salamence and Dragonite. These two were not only ahead of everyone else, but when the poll closed they were at a perfect stalemate with 4 votes each. There can only be one sun in the sky however. So who will it be? Dragonite or Salamence? The two have locked horns in a grudge match. It is up to you the voters to crown your favorite. 5 Days Ago (9:11 AM). It was a tough decision, but Dragonite ultimately won my vote! I remember back when we only had Kanto, Dragonite was the Pokémon we all wanted on our team. It has been one of the best dragons for a long time running, with an excellent ability in Multiscale and a vast, powerful movepool. Dragonite's design is especially charming! 5 Days Ago (10:16 AM). Milotic is best Dragon Anyways, my Kanto bias wins here. 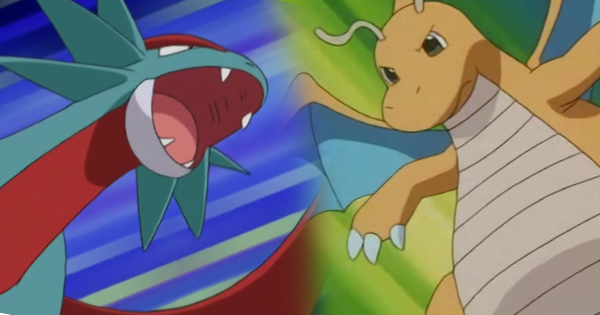 I know Salamence can Mega Evolve but Dragonite is essentially the primal Dragon or first Dragon Type to grace Pokemon. 5 Days Ago (6:44 PM). This is... actually really hard. .___. I love Salamence and I've used one in my Gen III teams but I think I may go with Dragonite here. Cuteness wins me over more than toughness and all that. 5 Days Ago (12:49 AM). I wouldn't say that Dragonite is a clear favorite between the two for me, but as far as pseufo-legendaries go, Salamence never really interested me, and I would rather use a Dragonite if I had the option between the two. Between Dragonite and Salamence I much prefer Dragonite. Salamence is okay but I haven't really gotten any sort of attachment to it. 2 Days Ago (4:44 PM). Edited 2 Days Ago by MysticalNinetales. I prefer Salamence! It's tough and strikes me as much more intimidating as well as more visually appealing. It has gorgeous red wings that help it soar through the skies with power and precision! Such a lovely pokemon indeed! Besides, I enjoy the story of how its pre-evolved form, Bagon, dreams of having the ability to fly, for it to later evolve into one of the strongest dragon types ever!